You just found out you have gestational diabetes. And Dr. Google isn’t making you feel any better. Is my baby going to be ok? What did I do wrong? Why me? Does this mean I’ll have diabetes forever? Do I have to cut out all of my favorite foods? How do I figure out my blood sugar? Can I do anything to avoid insulin or medication? When your doctor gave you the test results, you cried. Like, mascara-streaming-down-your-face, cried. You’re scared to eat, confused about what all of this means, and most of all, you’re worried about your baby. But, the only thing scarier than getting diagnosed with gestational diabetes is not knowing what to do about it. No, really! Gestational diabetes is the most common pregnancy complication. By far. But unfortunately, this diagnosis isn’t always well-explained, leaving you feeling even more lost as to what to do. And if you happen to see a dietitian or nutritionist, there’s a good chance the advice you’ll be given is outdated. I know because I’ve spent most of my career working in prenatal nutrition, both clinically and at the public policy level. At first, I recommended the conventional gestational diabetes diet, but sadly my clients frequently “failed diet therapy” and had to start medication despite following my advice. I was at a complete loss. Did they fail diet therapy or did diet therapy fail them? That’s when I decided things had to change. There had to be an alternative to the conventional gestational diabetes diet that actually worked. Luckily there is an alternative. I’m proud to say that the low-glycemic, real food approach that I developed has helped hundreds of women get control of their gestational diabetes and have healthy babies. Managing gestational diabetes can be quite simple. When you learn what to eat to keep your blood sugar stable and emphasize nutrient-dense foods, your risk of complications plummets. In fact, with good blood sugar numbers, you have no higher risk of complications… let me repeat… no higher risk of complications compared to women without gestational diabetes. This means it’s within your control to turn this diagnosis into a blessing in disguise, just as many women have. So let me take the worry out of this diagnosis. In the Real Food for Gestational Diabetes Course, you’ll learn everything there is so know about gestational diabetes and how to manage it, naturally. I’ve trained thousands of medical professionals on the nitty-gritty details, but I’ve also worked closely with clients. So you’ll get the best of both worlds – accurate information presented in a way that you can easily understand and apply. I’ll be in your living room with you (via non-creepy, pre-recorded video lessons) explaining everything. Twenty video lessons will guide you through exactly what you need to know and how to implement it. Each video lesson builds upon the one before it, so you can stay focused on what matters most, not get lost in a sea of technical gobbledygook. I know you’re busy, so these video lessons are as short (and sweet as can be), so you can “get in, get out” and get on with your life. I’ll take you from overwhelm to action in no time. 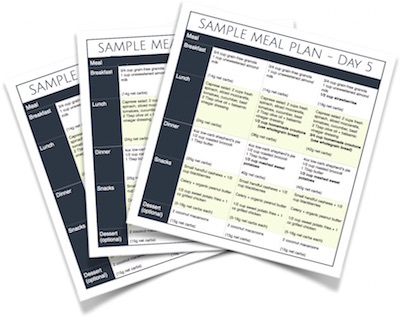 This course includes more than a dozen helpful handouts, including meal plans, recipes, an exercise cheat sheet, and much more. Wondering how to track & make sense of your blood sugar? Struggling to figure out meal and snack ideas (that still taste good)? Or curious about what exercises are safe during pregnancy? There are handouts covering all of that. Let’s just say, if you need it, it’s there. And if it’s not, let me know. This course is literally made for you to make this as easy and stress-free as humanly possible. Wishing your best friend had gestational diabetes, too? (I won’t tell if you don’t.) But in all seriousness, having GD can be isolating and stressful to manage on your own. Having support from other women who are in the poking-my-fingers-constantly trenches with you is irreplaceable. So, you’ll have access to a private Facebook group to connect with other like-minded moms who are also taking a real food approach to GD. It’s a place to connect, get support, share success stories (and probably commiserate from time-to-time). Struggling to understand what’s really going on in your body? Not sure why your fasting blood sugar is creeping higher? Wondering what level of carbs is right for you? Worried about what happens after baby is born? As a part of this course, you’ll get in-depth answers to all of these common questions (and many more)! What’s covered in the lessons? This module will cover how and why gestational diabetes develops, what it means for your pregnancy (and your baby), how to monitor your blood sugar levels (and make sense of all those numbers), and how to cope with the news (including how to find a support system). The rumors are true. What you eat has a huge impact on your blood sugar levels. In this module, we’ll cover how different foods affect your blood sugar, how to plan out meals that not only stabilize your blood sugar, but provide optimal nourishment for your baby, and which foods are best avoided. You should know I’m not a proponent of “dieting” or calorie counting, so our focus will be on healthy (but still delicious) choices, satisfying food combinations and mindful eating. The myths surrounding exercise and pregnancy are endless. I’ll present the facts (and some personal anecdotes) based on the research and my years of teaching Pilates alongside Women’s Physical Therapists. You’ll learn about the benefits of exercise, how it impacts your blood sugar, which ones are safe (and unsafe), how to safely start an exercise program, exercise precautions, and how to adjust your regimen during pregnancy. Knowledge is power and when you know your options, you can make more informed decisions. So in case your blood sugar is still high, despite your best efforts, we’ll look at the possible nutritional gaps in your diet and tweaks to your lifestyle to give you not only better blood sugar numbers, but ensure a healthier pregnancy all around. And if you need insulin or blood sugar-lowering medication (or are just curious), you’ll learn how they work, too. Wondering how you can lower your fasting blood sugar? Hungry all the time? Can’t figure out why your blood sugar is high after certain meals? Worried about what to do postpartum? Wondering how you can prevent gestational diabetes next pregnancy (or if that’s even possible)? The bonus section will be your best friend. Anything that wasn’t covered in earlier sections (or is worth a further explanation) is found here. There are so many conflicting opinions when it comes to gestational diabetes that it’s sometimes hard to know who to believe. As a member of the course, you can submit a question directly to Lily. This ever-expanding library of Q&As helps you make more informed decisions based on what the latest research says. Gestational diabetes was all new to me. I had only heard of one other person having had it before and she was obese before she got pregnant so I didn’t know that someone petite and healthy like myself would even be a candidate. It was scary because there were so many unknowns but your course made it so simple. As soon as I completed your course & read questions and comments from others in the Facebook group, I realized how simple and easy it really can be to manage through diet alone. I am thankful for that now! This course definitely put me at ease and made me realize that it is easy to eat well and monitor my numbers, keeping everything in check! The doctor is happy with my numbers and I am proud to say that I am successfully managing it with the help from your course and FB group. ???? I learned the best foods to eat & what to put on my grocery list, including some foods which I have never paid attention to in the past, the importance of incorporating more nutrient-dense foods, what foods to limit, and got an understanding of the medications just in case (which luckily I do not need thanks to eating a real food diet). I like how you broke everything into modules and bite size pieces. It was not overwhelming and it was very easy to follow! I loved that you focused on exactly what to eat and what not to eat as examples, the reassurance helped! I have already shared this on a mommy page because others were freaking out about failing their 3 hour test and I told them how much of a life saver this was for me! I just delivered my third child and I so wish I had met Lily when I was pregnant with my first! This was the second time I had gestational diabetes and it was such a disappointment to get the diagnosis again. I thought it was gonna be just as bad as last time. My blood sugar was higher this pregnancy, but with Lily’s help, I was able to bring my blood sugar down. I also had an easier time with weight gain. With my last pregnancy even though I saw a nutritionist the whole time, I gained 55 pounds and had high blood pressure and was on insulin. With this pregnancy, I only gained 26 pounds, had normal blood pressure and didn’t need insulin. I didn’t think that was possible and neither did my doc. Ready to take control of your GD? When I found out I had GD, I was very anxious and also a little depressed. I felt the weight not only of my current diagnosis, but of the fear of having Type II diabetes in the future, and even worse, the fear that my baby is at risk for diabetes in the future. All of this left me feeling stressed and helpless. This course offers a great alternative to the typical gestational diabetes diet or nutrition advice you might get from a hospital dietitian. I now feel like there is much more that I can control about my diagnosis. While I won’t think I’m a failure if I need medication, I like that my course of action for GD isn’t just about cutting sugar and carbs. Instead, it’s about positively adding good nutrition through real foods and making true progress in my overall health with exercise, which will in turn improve the health of my baby. I was overweight at the start of my pregnancy, but I have only lost weight (slowly and steadily) since becoming pregnant and following a real-food plan along with moderate exercise. My doctors are very happy with my progress, as my weight loss is happening at a healthy rate (with good blood sugar levels and good BP) while my baby is also growing at a healthy rate (he is in the 55th percentile for growth). I do not have that crushing worry hanging over me anymore. I feel like the “food education” is where the course really stands out. The in-depth nutrition education and the bonus information about what to do after my baby arrives to improve my chances to delay or avoid Type II, and to help my baby get his best start, are invaluable to me. I was devastated when I got diagnosed with gestational diabetes as I eat well, I hadn’t gained much weight and all – and somehow I still got it. I had GD with my previous pregnancy, had a really bad encounter with my dietitian and I remember feeling quite hungry on that diet. Naturally, I was concerned about meeting with a GD dietitian again, being hungry on the diet, and I was afraid to take medication. So this time I started educating myself beforehand. I bought your book and read some parts that interested me, but being really busy, I didn’t read the whole thing. What I love about the course is I can listen to the videos while exercising or doing other things. The information is broken down into bite-sized pieces, so you can get through all the material even if you’re short on time. After going through this program, I felt confident I was doing the right thing. I was better prepared to discuss my plan with the GD team (and that I am getting enough calories without needing to eat a super high carb diet). I also felt at ease when I made the decision to take insulin to control my fasting sugars as I had tried everything I could. I would recommend this course for sure (especially as most women do not do as much research as me!). Lily is a pioneer in this field and does a great job supporting us. I was so upset when I got gestational diabetes. I immediately stress-ate a bag of chips followed by a big ol’ slice of apple pie. I figured there was no point in trying; I’d be on insulin no matter what. But then I found Lily and everything changed. I learned that eating for GD could be delicious, that my choices would make a difference, and that insulin wouldn’t be my destiny. I’m proud to say that thanks to a real food diet, my blood sugar was well-controlled during my pregnancy and my baby measured on schedule the whole time. My sweet Kevin was born naturally, at a normal weight, with no complications. Thank you!!! Upon purchase, you’ll have instant access to ALL of the course content. So if you have a burning question about how to lower your fasting blood sugar on day 1, you can learn how right away. That being said, these modules are pretty meaty and are intentionally set up in a specific order. Each video builds upon what was taught in the video(s) that came before it. You’re welcome to take the course at your own pace, however I’ll be sending you some friendly emails to focus your attention during our 4 weeks together and help guide you through everything. Let’s review what you’ll get. Learn about real food, prenatal exercise, supplements, medication & more. So you know exactly what delicious foods to eat for breakfast, lunch, dinner, snacks, and desserts. 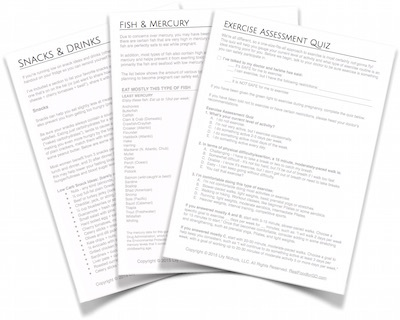 More than a dozen PDF worksheets to help you implement everything you learn. An ever-expanding library of resources to answer all of your questions and concerns. Private Facebook Group to connect with other moms and get your questions answered. Pearls of gestational diabetes wisdom from my clinical practice (not found in my book). Reassurance that you’re doing everything within your control to give your baby the best start possible! and I’m offering you lifetime access to everything for only $379. Ready to take the stress out of gestational diabetes? I want to help you understand exactly what’s going on in your body, how real food and exercise can help, and everything in between.  Prior to creating this course, the only way to work with me was via one-on-one nutrition coaching, which costs a minimum of $1495. But with 18% of pregnant women getting diagnosed with GD, there’s absolutely no way I could help enough of you. Plus, my services are out of reach for some women. 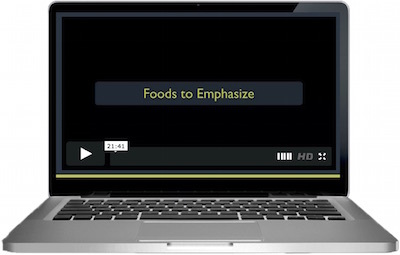 This course covers everything I would normally cover in my private nutrition coaching for a fraction of the price. With the right information and support from your course-mates, you’ll feel confident in managing your gestational diabetes in no time. This course helped me realize that the diagnosis of gestational diabetes can actually be a blessing in disguise. I feel that so often when you are pregnant you use that as an excuse to eat unhealthy or not be as active as you need to be. However, since my diagnosis I have returned to a healthy lifestyle which includes eating better and daily walks. In return I have lost 6 pounds, feel healthier, and am less worried about my baby. I feel confident that I will continue this lifestyle once my baby gets here. I think that this course helps to give women that are struggling with GD a more than basic understanding of what they are dealing with and gives them the tools to stay healthy. Since I am controlling my GD with diet and exercise alone I felt that the most beneficial thing for me was the food module. It helped me to get away from eating the same food everyday and gave me new healthy options. It also made me aware of the portion sizes that I eat and how usually when I was attempting to healthily eat out the portion sizes alone, even when choosing healthy foods, would put my blood sugar over. Prior to starting the course I had done a lot of research so I could get an understanding of what I would be dealing with. My main fear was if I would be able to do everything that I needed to do in order to take care of myself and my baby. I feel that so far I’ve had a great journey with GD and am lucky that I am able to control it with diet and exercise. I am glad that I have this course to fall back on if things start to get harder or my levels begin to get harder to manage. So far, I haven’t found myself having any questions that weren’t answered throughout the course. If a friend was diagnosed with GD, I would tell them that if they are like most and have no idea how to deal with GD that this course will provide them with a wealth of information and tools to get through their pregnancy without having to spend hours and hours researching to find the right info. I had gestational diabetes once before and managed it with conventional recommendations. I expected the diagnosis this time – but I also expected the same recommendations to work for me again. When they didn’t I was extremely stressed out. I saw a nutritionist/diabetes educator and I work in diabetes myself (adult diabetes education, not gestational). My experience was, oddly enough, completely untailored to me as an individual. The recommendations didn’t work and had me in tears. Since this program I feel confident in my healthy pregnancy; fasting numbers are amazing as well as after meal numbers; stress is gone; my care providers are pleased; weight gain on track; overall feeling awesome. I own the Real Food for Gestational Diabetes book, but this course is more about problem solving. Don’t get me wrong – the book is awesome – just as interesting and eye opening, but less “how to individualize your plan” than the course. I also loved the video format and the way it is broken down into digestible pieces. I didn’t have to hunker down for long periods of time to get it done. I have no hesitation recommending this course to other moms. The cost doesn’t add up to the expenses incurred from uncontrolled GD, not to mention the emotional toll of conventional diet therapy failing you. It’s worth every penny. When my first glucose test was inconclusive, I was very scared. I felt very unprepared about GD. There was plenty of information online but not a lot provided solutions and programs to make it easy. That’s when I found this course and book, and I am so happy I did! Lily does a thorough job providing a simple guide for pregnant women on what to eat and how to make it using READ FOOD! There are not many books nor information online that explain WHY it’s so important to eat certain baby nourishing foods that are low sugar. Compared to the book, this course was even more informative and provided more tools for dealing with GD. I had all the extra support I needed to feel confident in managing this on my own from worksheets, sample menus, and of course, the support group. This is an essential course for anyone looking to learn and live with GD or just learn how to eat right during pregnancy. Thank you Lily for doing this! You helped me more than I can say. Blessings! Sounds great, but I don’t have the money to spare. I get it. Having a baby is expensive. And you might be hesitant to invest in yourself now when you begin adding up all the costs of a newborn. The truth is: Having a baby is a lot MORE expensive when your gestational diabetes is not well-controlled. Women with poor blood sugar control face 55% higher delivery costs, have 2x the risk of having a C-section, require more visits with medical providers, and are more likely to require insulin. Worst of all, their infants are 3x more likely to require a stay in the neonatal intensive care unit (NICU). As you can see, the costs add up quickly! A small investment in your health NOW means you’ll likely spend (a heck of a lot) LESS later. Remember, the real food approach taught in the Real Food for Gestational Diabetes Course lowers your chance of requiring insulin by 50%! That savings alone pays for the cost of the course and then some. If you’re not proactive about your diet and lifestyle choices during pregnancy, you can be stuck with thousands in medical bills. But with the right information and support from the Real Food for Gestational Diabetes Course, you’ll be on your way to a healthier (and less expensive) pregnancy and birth. The real question is: Can you afford NOT to take this course? Deep down, you know that gestational diabetes is something you can handle with the right information and support. If you’re committed to having a super healthy pregnancy and managing your gestational diabetes with real food, this course is for you. I have a sneaking suspicion you’ll be blown away by how delicious (and easy) this can be. You certainly will not be on a “diet” (I hate that word as much as you do, by the way). You’ll be eating real food meals that actually taste good, nourish your baby, stabilize your blood sugar, and keep you full. You don’t have to feel deprived to get your blood sugar down. You don’t have to (and shouldn’t) deny yourself food when you’re hungry. You should never have to feel like you’re starving just to comply with your diet. There are a lot of delicious foods that are actually healthy for baby and won’t raise your blood sugar. You don’t have to follow a super strict diet or use measuring cups for everything. You don’t even have to count calories. Don’t go another day feeling lost! Join today. The conventional nutrition advice for gestational diabetes is woefully outdated. It’s lacking in nutrient-dense foods that are required for fetal development. Plus, it’s imbalanced in macronutrients, which leads to the unnecessarily high use of insulin and blood sugar-lowering medication. Imagine having peace of mind about what to eat. You sit down to a meal and pretty much know your blood sugar will be normal afterwards. Imagine knowing that you are doing everything in your power to control your blood sugar, nourish your baby, and protect against complications. Imagine a way of eating that doesn’t require deprivation; where listening to your body is encouraged, not ignored. It’s within your power to have a healthy, happy baby – even with gestational diabetes. Are we speaking the same language here, or what? Your baby’s health is your #1 priority. You know there are risks involved with having gestational diabetes and you want to minimize them. You’re interested in learning more about a real food lifestyle. You’re ready and willing to make better food choices, you just need to know what to do. You’re tired of feeling anxious about what to eat. You want to feel confident in meeting 100% of your baby’s nutrient needs. You want support making changes and sticking to them, especially from other moms with GD. You aren’t interested in changing the way you eat. You’re not willing to check your blood sugar regularly. You are strictly vegan and unwilling to add in any animal foods, not even eggs (for liability reasons and based on current scientific evidence, I cannot ethically endorse a 100% vegan diet for expecting moms). The dietary plans in the course are omnivorous, not vegetarian. You can do this. Get started today. Let me answer some common questions. I haven’t been officially diagnosed, but I’m worried I’ll get GD. Can I take your course? Oooo, that’s a juicy question. And I’ll answer with a resounding yes! Why? Because new research shows that even mildly elevated blood sugar during pregnancy is linked to the same complications as gestational diabetes, so if you suspect blood sugar issues (or simply want to be proactive about this), you most certainly can benefit from the nutrition, exercise, and lifestyle advice in this course to keep you and your baby ridiculously healthy. Truly every pregnant woman would be wise to follow a nutrient-dense, real food diet. I'm not sure your approach to GD will work. I understand your hesitation. As a registered dietitian and diabetes educator, it took me years to go against the status quo in managing gestational diabetes. But I’m so glad I read the research for myself and developed this real food approach. Not only have I helped hundreds of women have healthy babies, but nutrition experts are hailing my real food approach as a long over-due revamp of the archaic gestational diabetes diet. But don’t just take my word for it. Will this mean I won’t need medication? It’s possible. A low-glycemic diet generally results in better blood sugar numbers, which may reduce the chances you’ll require the help of medication or insulin (by 50% according to a research study in the medical journal, Diabetes Care). However, there are some women who will need medication and/or insulin no matter how “good” their diet is or how much they exercise. Medication and insulin are simply tools that can help when diet and exercise are not enough. Only your doctor can determine if you need medication. This course includes a module on medication in case your doctor decides you need it, so you know how these medicines work and how to match your diet and exercise safely with their use. I have your book. Do I need the course? First of all, I’m flattered, and I hope you’ve found the book helpful. This course takes my book to a whole ‘nother level. I’m sharing pearls of gestational diabetes wisdom from my years in clinical practice that are not found in my book. We’re not only covering the what, but the how. How to incorporate more real food into your diet, how to find your perfect level of carbohydrates, how to start an exercise routine. Plus, you’ll have the support from fellow course-mates (in our private Facebook group) to stay motivated and actually do it! So if you finished my book and were left thinking “Now what?” or “That’s nice, but I’m not sure I can do this alone,” OR if you learn better from audio and video presentations, then this course is for you. Tempting, but I’m short on cash. You know gestational diabetes is something you have to handle head-on. Moms who get their GD under control have less complications at delivery, lower chances of requiring insulin or medications, and healthier babies all around (all of which reduce your medical bills big time). Investing in your well-being during this pregnancy can quite literally change the health of your child for life (and drastically lower your risk of complications during this pregnancy and at birth). So If you’d like to have my help (plus the support of other moms) instead of anxiously reading through countless (and contradictory) books and blogs, I hope you’ll join us. I’m not sure I have time for this. Oh how I wish the days were longer. Since that’s not possible, I’ve created the next best thing. This course is 100% go-at-your-own-pace with bite-sized lessons (5-15 minutes on average), so you can watch them on your lunch break or after the kids go to sleep. It’ll certainly take less time out of your day than trying to meet with a nutritionist in-person. You get me all to yourself with no waiting room time or rush-hour traffic. ???? How long will I have access to the course materials? You’ll have lifetime access to all course content and any future updates in an exclusive membership site just for course members. That means you can go back any time to review the course materials as long as the Real Food for GD Course exists (which I plan will be a very long time)! So if you get GD with your next pregnancy, this course will be here to refresh your memory. Why other moms recommend you take this course. When I got pregnant with my second daughter, I knew I’d have to deal with gestational diabetes again. In my first pregnancy, I saw a nutritionist and was handed a one page meal plan, so I pretty much ate the same five meals over and over again. It was horrible. I never knew why my blood sugar would come out high. I felt like a failure from Day 1. When I found Lily, I saw there was another way. Lily helped me understand how food changes my blood sugar and how I could eat all sorts of tasty meals (that I thought were off-limits) without spiking my blood sugar. 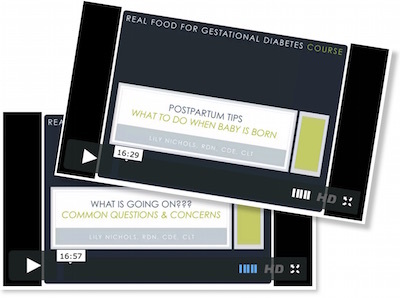 This course is a great compliment to the Real Food for Gestational Diabetes book. It’s some of the best education I’ve received and totally worth the cost. Even though I’ve eaten low carb for a while and done a lot of research on my own, the information about the vitamins and prenatal nutrition was new to me. After taking the course, I know what I need to do to provide the best outcome for both myself and baby. This is my 2nd GD pregnancy so I felt a bit more confident going in, but am so happy that I found out how a low carb, real food diet can help. I didn’t have this info during the 1st GD pregnancy and feel much better about the current pregnancy. I have already made it much further into the pregnancy without needing blood sugar medication. Having GD does spoil the excitement a little. It can make you obsess about your meals, your numbers, and get jealous of pregnant women who get to eat what ever they want. But once I learned about a real food approach (and ditched the low-fat meal plan I was originally given), it’s actually been surprisingly easy. I get to eat all sorts of things I always thought I couldn’t eat and I’ve only gained 12 lbs this pregnancy so far (I was overweight to begin with). I’d pass up a million cinnamon rolls to have my perfect healthy little baby in my arms. I saw a nutritionist before taking this course. We went over a simple plan, but it was a little confusing. I was feeling overwhelmed and wasn’t able to really eat anything because I was afraid I was going to hurt the baby. Sure… I had the number amount of carbs I needed to eat with each meal but I was not sure how to associate that with real food. The portion size examples (with the food models) and label examples in this course has helped me tremendously. Now I have a better understanding of portions and know I can eat pretty much anything just within limits. I feel a lot better now that I am not terrified of food. If you have gestational diabetes, I would definitely recommend this course. You’ll feel a lot better about having GD after taking it. It’s 100% worth the price! Get the help you need. Today. 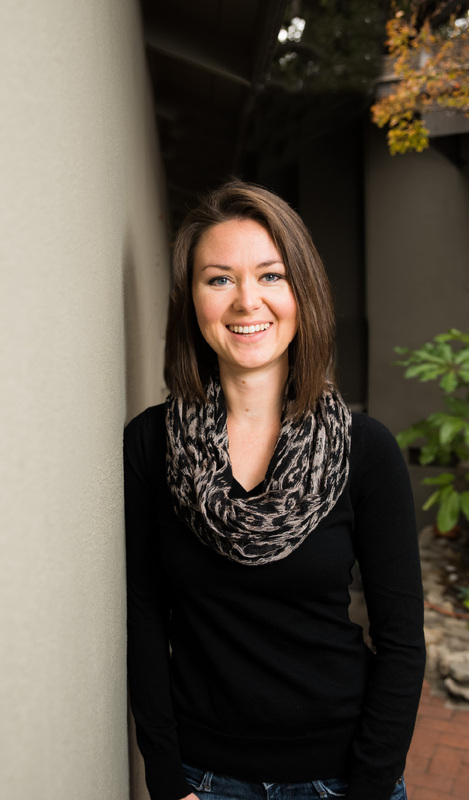 Lily is also the author of Real Food for Pregnancy, which outlines the gap between current prenatal nutrition guidelines and what’s optimal for maternal and fetal health. This evidence-based resource has been likened to a textbook and includes over 930 citations backing the benefits of real food nutrition for pregnancy.